While were expecting a mid-September Apple event, the company has officially announced its upcoming launch event. Apple has officially announced its upcoming launch event scheduled on September 7. 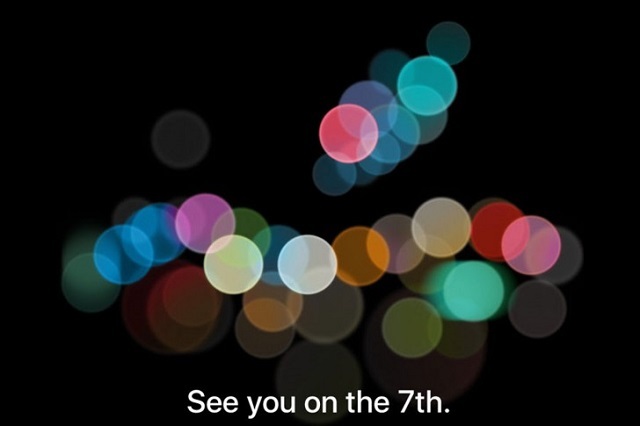 While the invite just mentions “See you on the 7th”, we are expecting the tech-giant to unveil the next-generation iPhone and the Apple Watch. The event will start at 10:00 am PT (10:30 pm IST) and would be live-streamed for Apple user. Rumours suggest that Apple would announce the iPhone 7 and the iPhone 7 Plus on September 7. While there have been a few details available, the upcoming devices are said to be just an incremental update over the iPhone 6s. However, the iPhone 7 Plus is rumoured to flaunt a dual rear camera setup. Moreover, the company is also expected to launch the Apple Watch 2.